For over ten years, X-TM provides a wide range of services for mid- and small sized companies. As an IT- full service agency, our key competences are Software development, Internet applications, Webdesign and also IT- Support & Servicemanagement. We see ourselves as a service provider, who understands the technical demands of modern Industry- and Service companies. With customized applications and effective service, we want to give Your business the momentum to be at its best. We develop modern Lifestyle- or Social Network applications as efficient and agile, as Online Services that improve your workflow and communication. We also install or maintain Your Content-Management-System. 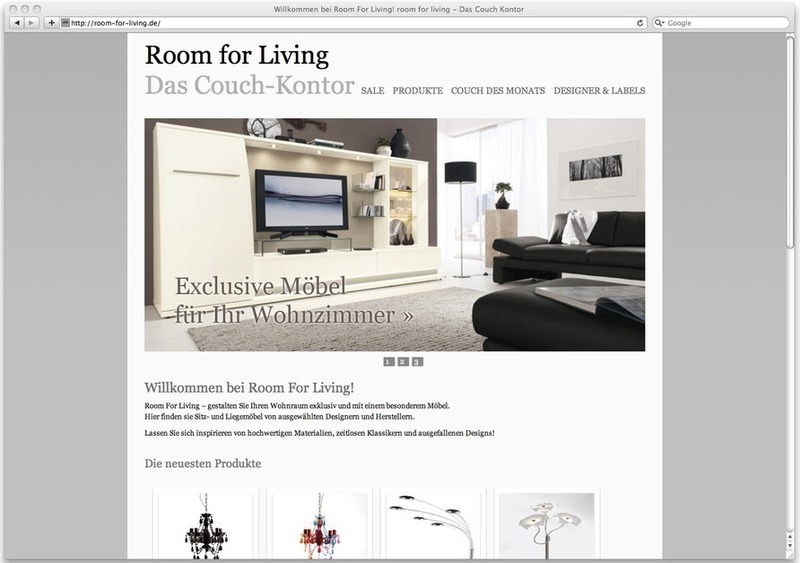 www.room-for-living.de is the latest online-shop idea we came up with.